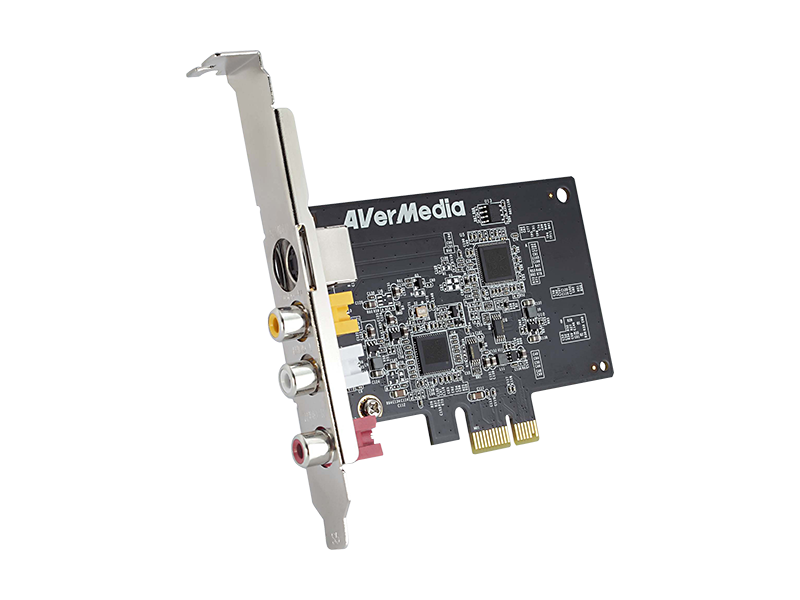 The AVerMedia EZMaker SDK Express (C725B) is a PCI-E video capture card equipped with composite, S-Video and stereo audio inputs for digitizing video from analog signals into uncompressed AVI format at 25/30 fps for a wide range of resolutions. It supports PAL, NTSC and SECAM video standards, and also comes with a software development kit that includes frequently used applications to allow system developers to integrate apps in various operating platforms. The AVerMedia EZMaker SDK Express guarantees fast response and solid performance with its advanced hardware design and customizable software development kit, while also promising a user-friendly user experience. Featuring S-Video, composite and stereo audio inputs, the EZMaker SDK Express allows you to record video from various device sources and digitize it at optimal quality resolution. The EZMaker SDK Express supports NTSC, PAL and SECAM video standards, ensuring flexibility and capability in capturing content from a wide range of video sources. AVerMedia also includes a comprehensive, powerful SDK kit that works with multiple programming languages to help you easily build the features you need.